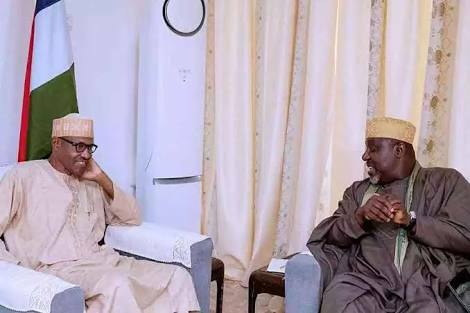 Okorocha: "The Defection Of Our Colleagues Pained Us So Much'"
Governors of the All Progressive Congress (APC) said they were thoroughly pained that their colleagues had left the party. The APC Governors stated this on Thursday after meeting with President Muhammadu Buhari at his hometown, Daura. The ruling party has so far lost three state Governors to the opposition Peoples Democratic Party (PDP) since the recent gale of defection began. Governor Samuel Ortom of Benue, Abdulfatah Ahmed of Kwara and Aminu Tambuwal of Sokoto recently dumped the APC. “We had wished that none of them, especially the governors, had left the party and it pains us so much,” Imo State Governor, Rochas Okorocha who is also the Chairman of the Progressives Governors Forum said.